Hey, everyone, Nicole here. And today, I'll be reviewing Bodycology's Sweet Cotton Candy body spray. I really love the Bodycology body sprays. They're great scents. And with their inexpensive price tags, they are a great way to try new kinds of fragrances. Sweet Cotton Candy mixes notes of citrus, raspberry, strawberry sugar with vanilla, caramel, musk, and cotton candy to create a beautiful [INAUDIBLE] that's particularly great for spring and summer wear in my opinion. Well, that's all for today. I hope you enjoyed that review. Don't forget to follow FragranceX on Facebook, Instagram, Twitter, and Snapchat. And please subscribe to our YouTube channel. Bodycology Sweet Cotton Candy Perfume by Bodycology, Enjoy the playful, energetic quality of Bodycology Sweet Cotton Candy . As the name suggests, this perfume features the aroma of cotton candy to provide a sweet, fruity sensation when applied to pulse points. The opening is rather citrusy and contains the scent of raspberry. The heart is where you find the note of cotton candy in addition to strawberry sugar. This fragrance finishes strongly with notes of soft caramel, whipped vanilla and Read More Read More musk. Bodycology is based out of Connecticut and offers an array of body mists for patrons all over the world. The mission statement for this brand house is that every woman should have access to high-quality fragrances without paying top tier prices. The brand wants to empower women to make them feel their best. 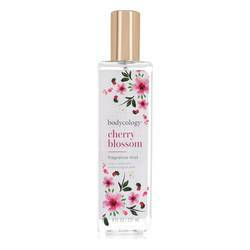 In addition to fragrances, the company also manufactures bath and body products. If you are ready to indulge in a perfume like no other, then get Sweet Cotton Candy body spray right away. All products are original, authentic name brands. We do not sell knockoffs or imitations.